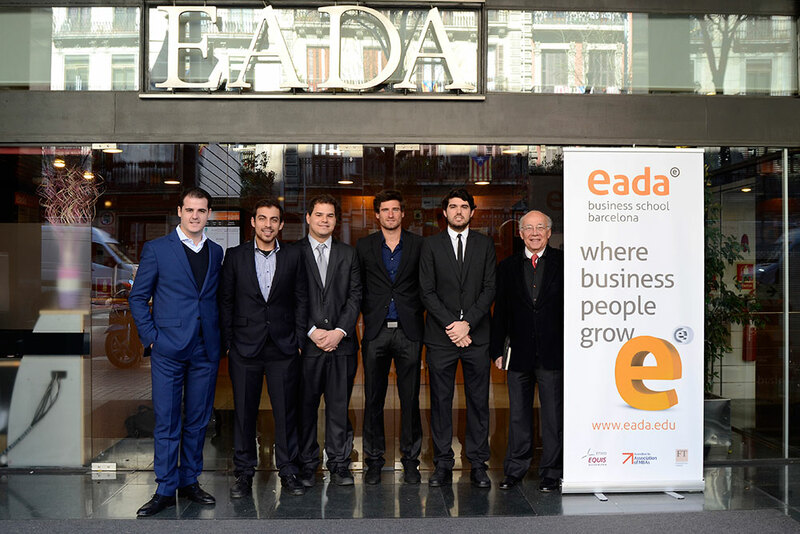 EADA is a Business School located in the heart of Barcelona. Its masters are ranked amongst the top in the world according to The Financial Times and it is accredited by the most reliable agencies, such as EQUIS or AACSB. EADA has been developing highly skilled professionals since 1957 with the mission of training managers of companies and organizations who are economically efficacious, socially responsible and environmentally friendly through research and education. EADA has developed several business collaborations with private and public agencies. One that has proven to be the most successful in the past years is the ACC10 partnership. ACC10 is the Catalan Agency for Business and Competitiveness and EADA is participating in its Market Assessment Program (MAP) to develop and support projects towards innovation in order to bring these projects to the market. EADA and ACC10 have been actively working together for many years and recently started to work with VICOROB –Computer Vision and Robotics of Universitat de Girona- in order to create a viable Business Plan to find the best approach to bring INSPECSUB project into the market. INSPECSUB is a set of technologies that comprises autonomous underwater vehicles, digital image processing, and different underwater mapping opportunities. The team in charge of developing a Business Plan for INSPECSUB is formed by five International Master in Management participants with different backgrounds and nationalities: David Estrada, Industrial Engineer from Venezuela, David Tisserand with a Bachelor in Business Administration, Xavier Munté with an Undergraduate in Law, Josep Curós with a Bachelor in Business Administration, and Antoni Alomar with a Bachelor in Strategic Entrepreneurship. The team is supervised by Mr. Alexandre Blasi, which has a broad experience as engineer and entrepreneur, and nowadays is holding different executive positions in private companies. The aim of the team is to assess the market opportunities and to develop a sustainable business model that ensures the viability of INSPECSUB as a profitable project that develops into a competitive business in the AUV industry.